I have a problem with latexmk on my Mac. I'm using emacs as my latex editor, and have configured it to use latexmk. I have specified an output directory, but for synctex to work I need the pdf and .synctex file in the working directory. If however, I try to use the same line on my Mac, only the pdf is copied, the .synctex file stays untouched. I cannot figure out why it does not work. I have not yet tested it on Linux to see if it works there. According to latexmks manual the syntax and placeholders should be correct, and as I said it does work on Windows. I tried things like adressing the 'build' directory directly instead of using the placeholder %Z, but it didn't do the trick. Windows copy should take a single argument as 'copy the argument to the current working directory'. Unix (including OS X) will not take a single argument for cp. You'll need to provide it a destination directory, either as an absolute or relative path. If %Z is one directory below your real destination, you should be able to use %Z/.., as in cp %Z%B.synctex.gz %Z/.. -- you might get away with cp %Z%B.synctex.gz ., too. This sounds like the ideal use-case for ltx2any instead of latexmk. Not the answer you're looking for? 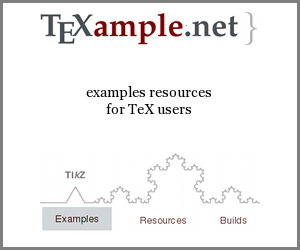 Browse other questions tagged texlive emacs mactex latexmk or ask your own question. How do I set up my config file to have latexmk default to making a pdf?